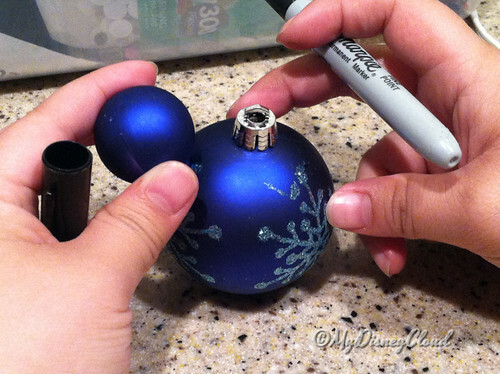 Creating Your Own Mickey Mouse Ornaments! So you’ve got your Christmas tree and you notice that its got the right smell and the right lights but something’s missing… the ornaments! 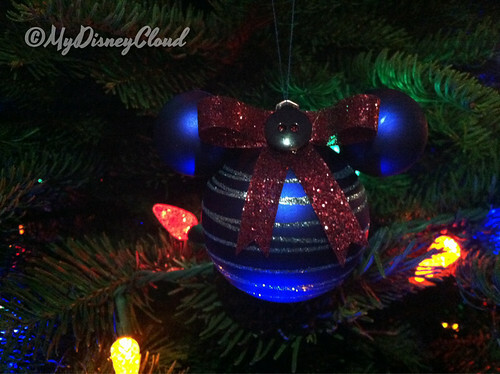 Ornaments form Disney store can be quite expensive so MyDisneyCloud.com found a way to create more ornaments on a budget. Mark where you will make a hole for the mini-sized ornaments to go. Then we used a sharp pointed knife to slowly and carefully whittle in a circular hole, children please advise an adult for help. 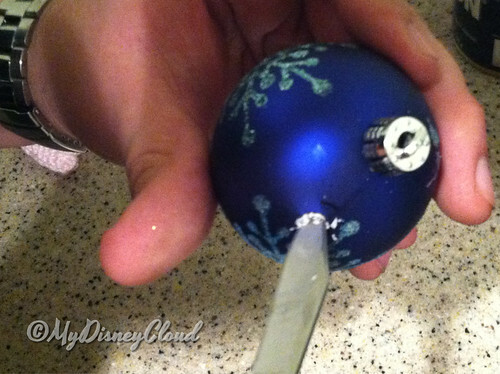 Carefully making a hole big enough for the mini-sized ornaments to go in, but small enough to keep it snuggly fit. 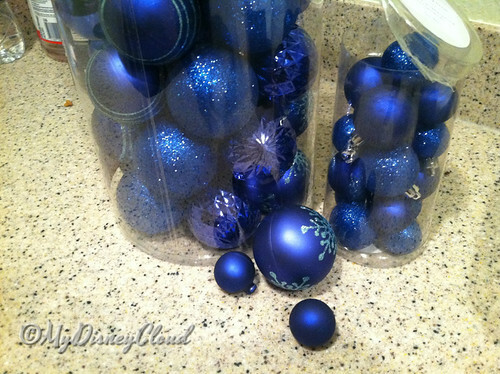 When you take the mini-sized ornament wiggle the top metal portion off and then put them together with the regular sized ornaments. When you put them together push the mini-sized ornament gently into the regular one sometimes it will make a popping sound, and this shout fit perfectly. 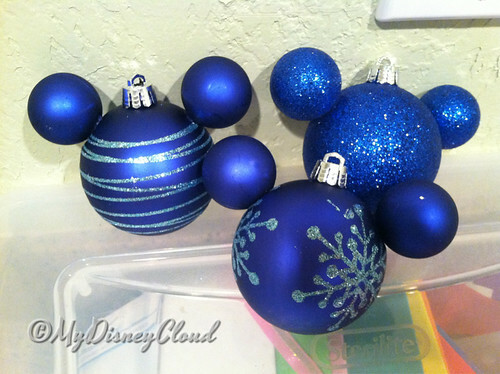 You can even add a bow to your ornament or just decorate it for fun. Add different colors and mismatch them. It’s easy and cost-effective. Enjoy! 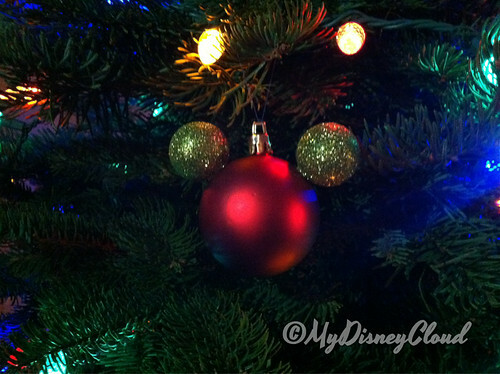 This entry was posted in Arts & Crafts and tagged christmas, decorations, disney, mickey, mouse, ornaments, tree by My Disney Cloud. Bookmark the permalink.